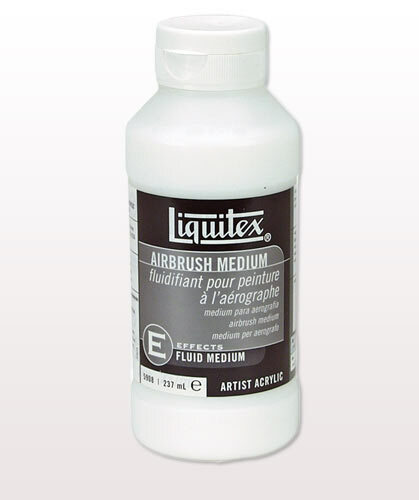 Liquitex Airbrush Medium is specifically formulated to thin acrylic colors for airbrush application. 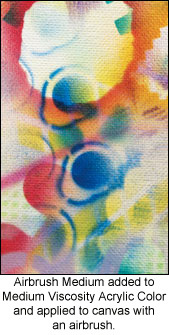 Mixing colors with Airbrush Medium will ensure that the colors do not lose their flexibility, durability and adhesion. Attributes Low viscosity Ready to use pre-filtered and pre-reduced to the required consistency for airbrush techniques, add as much or as little as desired. Formulated for thinning acrylic colors for airbrush application. Ensures colors do not lose flexibility, durability and adhesion. Easily thins acrylic color or any water-soluble paints to a sprayable consistency. Allows thinned acrylic paint to be sprayed efficiently and retain paint film integrity. 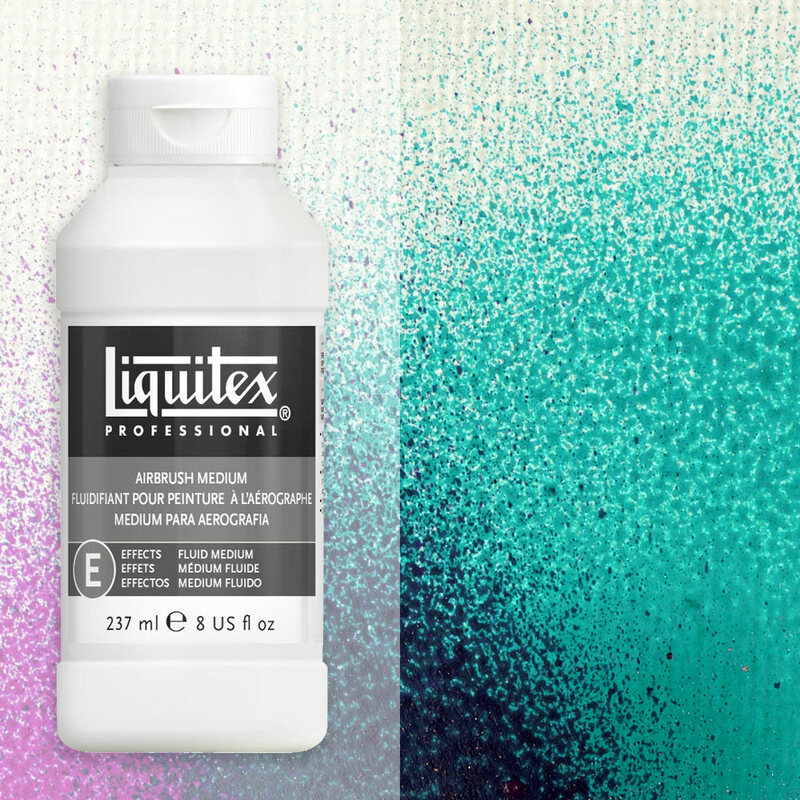 Liquitex Airbrush Medium mixes easily with all Liquitex Soft Body Artist Colors to produce airbrush paint with the proper viscosity for airbrushing. Can also be mixed with Liquitex Heavy Body Artist Colors. Can be mixed with all Liquitex paint, mediums and gesso. 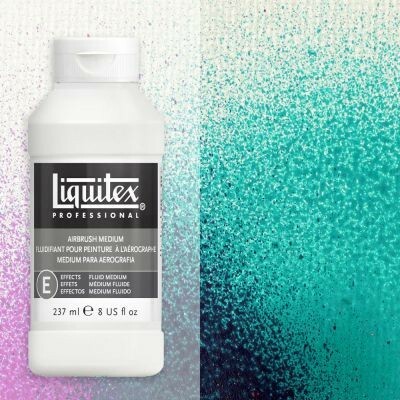 Use with Liquitex Soft Body Colour for best results. Works with all acrylics that I've tryed so far. Mix in any ratio without destroying paint films like water does. Simply a must have for any airbrusher working with acrylics. Runs through my 0.2mm nozzle just fine.